Every HALO mission starts with an integration phase at the German Aerospace Center (DLR) at Oberpfaffenhofen near Munich. This is the “home base” of HALO. About eight weeks are needed for instrument integration, electrical and mechanical acceptance, EMI (electromagnetic interference) tests, certification, documentation, safety briefings, and instrument preparation. Thus, many of us spent their time at DLR during the last weeks! For CAFE-Africa, the preparation started on June 11 with the first instruments delivered to DLR. Meanwhile, almost everything is finished. The EMI test flight took place on July 24, and after that we conducted two test flights, on July 27 and August 01. Some last instrumental problems were solved (or are about to be solved) and the final certification for the mission was received. Currently we plan for the ferry flight to Sal for Tuesday, August 07. 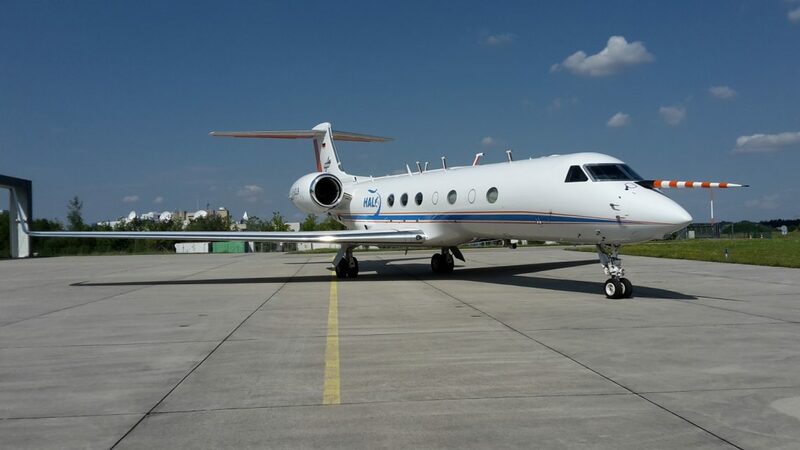 The flight will take about 7 hours and will be a measurement flight with the opportunity to sample upper tropospheric air between 48°N (Oberpfaffenhofen) and 17°N (Cape Verde). The picture above shows HALO at DLR Oberpfaffenhofen after landing on July 27, 2018.